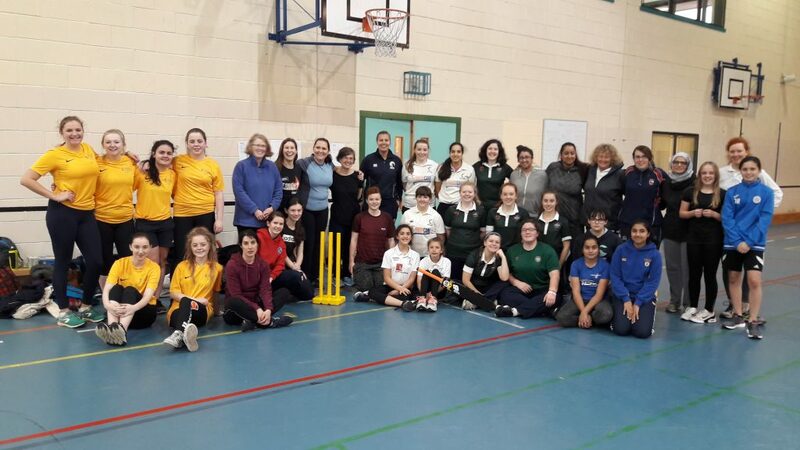 Women’s cricket in Scotland has grown steadily over the last couple of years and that looks set to continue in the coming months with various ‘Wee Bash’ events coming up. The Wee Bash is the new name for the series of 10 social tournaments which is open to 6-a-side teams from clubs, universities and secondary schools. The fast, six over soft ball format has proven hugely popular over the past years and as a result Cricket Scotland have extended the programme from six to 10 tournaments at four venues across Scotland from now until next May. The first event of 2017/18 took place at Hutcheson’s Grammar in Glasgow on Saturday and six teams were in action. Perhaps most pleasing – certainly for all who are concerned with seeing grassroots sport grow – was the appearance of the new teams from Clydesdale and Glasgow University. They have been set-up thanks to hard work by a number of individuals and they joined Carlton, Edinburgh University, Edinburgh South and Stirling County in action. After the group stages, Carlton and Stirling County made it through to contest the final. Amazingly the match was tied, but the Edinburgh-based outfit lifted the trophy having lost fewer wickets. 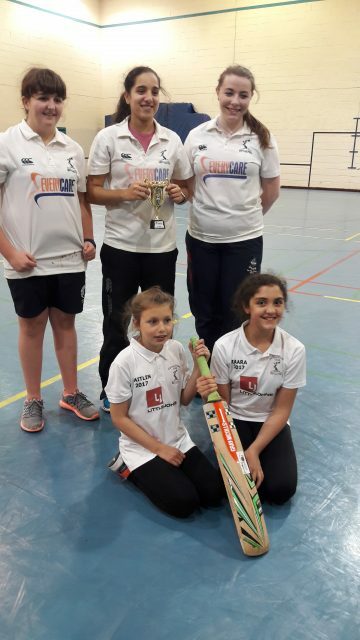 Cricket Scotland’s female participation manager Nic Wilson said: “We ran six events last year and they had a great response and we were very keen to build on that this time around and get new players involved in the sport. “We wanted to give the circuit of 10 events a name and the Wee Bash just seemed to fit really well with what we were all about while Scotland cap Lois Wilkinson used her design skills to produce an eye catching logo. “What was so pleasing is that Clydesdale and Glasgow University, who have been working very hard in recent months to get more girls playing the game, came along at the weekend and had great fun while the Clydesdale side included a mother and daughter and to me that shows that this really is a sport for all. “In all on the day there were five sets of mothers and daughters playing across the teams while some of the younger girls showed great talent and a real desire to learn. “It is hoped that as these events go on and momentum grows other teams will show an interest while more individuals will link-up up with their local teams. “The Wee Bash is very sociable and, as a result, is a great first step to getting into the sport. Gilson Gray opened as the largest full service law firm in Scottish legal history, with a portfolio of talent poached from the leading firms in Scotland – opening simultaneously in Glasgow (160 West George Street) and Edinburgh (29 Rutland Square) with a radical client-focused strategy that offers a cost effective alternative to the top ten firms in the country. The firm also recently landed six awards at the ACQ5 legal awards – the third year in a row that Gilson Gray has seen success – including Managing Partner of the Year award for the second time in three years as well as Insolvency Lawyer of the Year.